Do you really need funding? Joining me are co-founders of a company that took funding but decided to give the money back. Lakshmi Raj & Raj Narayanaswamy are the co-founders of Replicon, which makes hassle-free, web-based timesheet software. You’ll hear how they launched and grew the company, and their unusual experience with funding. Lakshmi Raj & Raj Narayanaswamy are the co-founders and co-CEOs of Replicon, which helps organizations in every industry streamline employee time tracking and payroll as well as project time tracking and billing. Three messages before we get started. First, who’s the lawyer that tech entrepreneurs trust? Scott Edward Walker of Walker Corporate Law. Here’s what Neil Patel, founder of KISS Metrics says about him:”Scott is a great lawyer. He is affordable, responds fast, doesn’t charge you for five minute phone calls and always gives great advice. Walker Corporate Law. Are you still coordinating projects by e-mails and wondering why you’re not productive? Would you check out TeamworkPM.net? TeamworkPM.net is trusted by Universal Studios, the University of Texas at Austin, the U.S. Army and other large organizations, but if you’re just trying to coordinate with a small company, maybe just two people, it will still help make your team more productive. How much more productive would you be if you used TeamworkPM.net? Finally, do you know someone who wants to build an online store? Tell them that Shopify is the easiest way to build a robust store. Then you can show them who else created stores on Shopify, including Tesla Motors, Pixar, Amnesty International, Foo Fighters, and others. Shopify stores look great, are dependable, and they generate sales. Shopify.com. Here’s your program. Andrew:Hi, everyone. My name’s Andrew Warner. I’m the founder of Mixergy.com, home of the ambitious upstart and a website where I interview successful entrepreneurs and collect the stories of how they build their businesses. 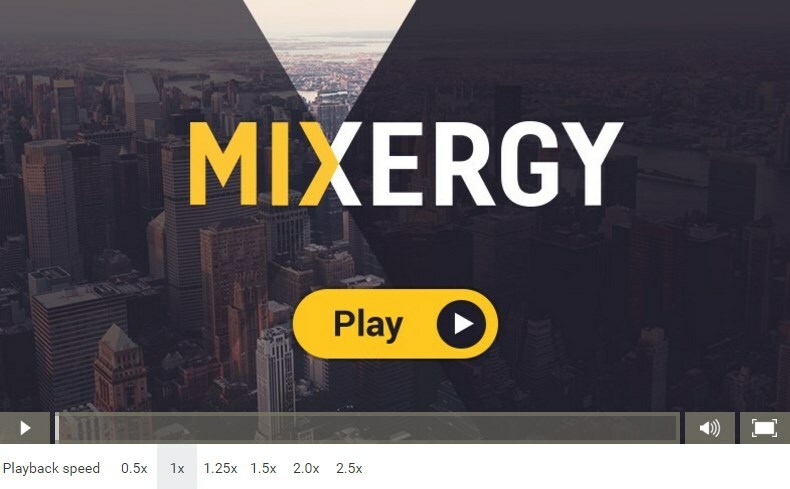 I just found out today we did over 500 interviews here on Mixergy. I say “we” because I’ve got a great team here that’s helping me with the research, including the research for today’s interview. The big question behind today’s interview is, “Do you really need funding?”. Joining me are co-founders of a company that took funding but decided to give the money back. Lakshmi Raj and Raj Narayanaswamy are the co-founders of Replicon, which makes hassle free, web based time sheet software. Raj, Laskshmi, welcome to Mixergy. Lakshmi:Thanks, Andrew. Happy to share our story. Andrew:I’m looking forward to hearing it. Raj:Yes. Happy to meet you. Andrew:Raj, how many users do you guys have on the site? Raj:We have over 7300 customers with over 800,000 users using our software. Andrew:800,000 users. And, Lakshmi, what size revenue are you doing? Lakshmi:Last year we did about 20 million in revenue. This year we will do around 30, so we’re looking at quite a big growth this year. Warner:Wow. That’s pretty open of you to share. I understand sharing number of users and number of customers, but to share revenue this publicly, why do you do it? You’re a private company. Lakshmi:We want to, especially for your audience, a lot of entrepreneurs. We wish we had that sort of openness when we started about 16 years ago in building our business and wanted to share where we came from and what kind of things went into the company to get us this far. Raj:Also, we don’t see a big secret with revenue numbers. Like secret sauce and modern revenue numbers and strategy even, the secret sauce of any company is execution. And, we actually share our revenue number every day with our staff. An e-mail goes out every day to the entire company saying “What is our target for this month?” every day. Andrew:That’s very open. The typical user, the typical customer, I should say, is whom? What’s a typical customer and relationship with your company like? Lakshmi:So, over a period of time we found three different markets that we typically address in time tracking. One would be the obvious consulting companies where they want to track time for cash flow and better client management. They don’t want a lot of wrong invoices going to their clients and just have unhappy customers. The second group of market that we address is the internal business units within companies where they would invest in projects, and they want to know how long it’s taking for those projects to actually produce profit for them, and are they profitable at all and how much it’s costing them to get those projects done. The third group of market that we go after is the whole HR market where they want to track time for [??] and be in compliance with local laws. Not only for compliance, but they also want to use the data to improve product [??] for them. Andrew:Is the product all software, all SaaS software as a service? Lakshmi:Completely SaaS, software as a service, very hassle free approach. Customers log in, and they start quickly entering their users. Their users are able to adopt very easily. We focus heavily on ease of use for the end user. Not many people like tracking time. It’s a very painful process for companies. Lakshmi:Yeah. We want to make it very easy for the end user, so executors can make decisions and managers can make decisions on how the projects are performing and how much it’s costing them. So, better visibility to make decisions for them and make the process very easy to use. So, SaaS all the way, not really technically but also very easy to use, easy to implement, easy to be a customer. Andrew:All right. I want to find out how you guys launched this business and grew it, including what happened after you took funding. You had a different experience than what we’re usually led to believe getting funding causes. There’s this vision I feel in the startup world that once you get funding you really are finally an entrepreneur, before you’re not. Once you get funding, you’re an entrepreneur. There’s this mistaken belief also that once you get funding, everything, all your problems go away and everything gets cured. And we’ll talk about how your experience was different. First, I read that this idea came to you in 1996. This was a spur of the moment decision. Can you tell me a little bit about that. I think, Lakshmi, that quote came from you, spur of the moment decision. Lakshmi:Yeah. In ’96 we saw a lot of Internet boomers happening where consumers had websites. The popular thing was even grandmas had a website. Andrew:In 1996, even grandmas had websites or it just felt like it? Lakshmi:Yeah. It felt like it, yeah. Hotmail was very popular. Everyone had e-mails. They were communicating with their friends and family through e-mails, and busses [sounds like] had URLs in their advertisements. So the consumers were adopting the Internet much more than businesses at that point. Netscape was big and processes were big and those sort of things. When we were working within a company, we felt that the companies were not adopting the Internet technology as much as the consumers. Consumers were sort of needing it. We really felt that the Internet could be used very effectively as a business application for both groups. They should be able to work together, have better visibility into what is happening, be able to influence the direction of the company much more, just by the new Internet platform. We both were talking about it for a while, and one day we said, “You know, let’s just stop this talk, let’s just go do it.” We both left our jobs, applied to a lot of credit cards. Before that, we applied to a lot of credit card companies, and thankfully we got all these credit cards. And so, we just spur of the moment said, “Let’s stop talking about it and start doing something.” I guess we were so naÃ¯ve. We just thought you build something awesome and you launch it, and people just buy it. And so, a very naÃ¯ve approach to building a business, and we both had technology background so we knew nothing about sales and marketing and even with the financials, how to manage the financial side of a business. Andrew:Let me ask before you continue. I noticed when you said we applied for a lot of credit cards, Raj was starting to smile at that. What’s the significance, Raj, of applying for so many credit cards? Why did you do that before you launched the business and while you’re still working? Raj:Yeah. We had some savings, and when we applied for all those credit cards at that time, mostly we just wanted to build up a line of credit and never thought that we’d want to use it. It just so happened that we had jobs, really good jobs, so we were getting all this sedition and we just wound up applying for all of them and each one of them gave us $5,000 or $6,000 line of credit limit. We were not thinking proactively that we may have to tap into it at that time, but line it up with $80-90,000 of credit card debt in the first couple of years. Andrew:You built up that much credit card debt to launch your business? Andrew:You guys had the ability to take on that much debt. I see. Raj:You cannot spend all of your savings and then we started tapping into our credit cards. So, I’d like to say that we were funded by Visa and Mastercard. We didn’t get Amex. It was only Visa and Mastercard. Andrew:Yeah. Amex likes to get paid at the end of the month. Raj:Yeah. They didn’t come to my board meeting, they didn’t ask for a business plan; all they wanted was their 23%. Warner:And, if I remember right, I did something similar. I just took, while I was still in school, as many credit cards as I could get because if you’re a student they give you credit cards, if you’re an entrepreneur they don’t. What I would do was, tell me if you guys did the same thing, I would always keep one credit card without any debt on it at all, and then I would take out a loan on that credit card to pay off another credit card and just keep going around so that I was always paying 6% interest or less. Raj:We did that slightly differently. We’d build up credit on there then we’d draw cash from one, charge from one to pay this one, and then we went a little further as well. It was maxing so that there was not limits on credit cards. So, you could draw the minimum out of cash but pay the minimum on this so they don’t cancel it, and we wound up skipping one payment. They let you continue to use the credit card. So, it’s the second payment is when they cut you off. Warner:I see. You learn things like that outside of business school. So, Lakshmi, you were saying that you saw this opportunity, you guys didn’t have much of a business background, but you were engineers, as I remember it before. Andrew:So, what’s the first product that you launched? What did it look like? What features did it have? Lakshmi:So, the first product was a product called Reach and it was a help desk product. Companies would buy it to just manage their internal help desk. We launched it on, at that time, there was the Silver technology that Netscape had, and we launched it on that Netscape Silver technology because we were engineers. We thought that, “Wow, this will be adopted so well in every business”. We were quite naive and really enthusiastic about the whole Internet technology. What we found was people were not willing to make those bets on something that’s leading edge. Help desk was critical for them to be able to run well, and they didn’t want to take the risk on an application that’s built on a technology that’s not traditional, that’s more leading edge. We launched three other products after that that failed in terms that there were no customers when we launched it on the Netscape site. Netscape promoted us because we had built on their Silver technology. We got a lot of leads, a lot of interest from all over the world, but they didn’t convert for the reasons that I mentioned. It was a high risk product for them. After that we launched three other products and all three of them failed, which ended up in this building up of this huge credit card debt. Andrew:If one product fails, why not say, “We have good resumes. We should just go right back to work and come back at this later or get a job and do this on the side”. Raj:So, we thought about that and you get into this perverse thinking, like, you’ve dug a hole and you can’t come out of the hole. So, you say, “OK. In order to sink further…”. It’s just what happened and we were about $80-90,000 in credit card debt when we were drawing minimums from one to pay the other. We seriously contemplated bankruptcy. Then we thought maybe we should take up a job and pay off those debts. I remember we actually did a spread sheet calculation, we should actually find the spread sheet and it put it up on the wall some time, where it said how long it would actually take to pay the debt down, and it was an insane amount of time. There was no way that we could have paid that debt down. Andrew:You couldn’t have because you were dug in so deep that, even if you took out a little bit of money every month to try to pay off the minimum balance, you’d still have the debt grow faster, or maybe, actually, you’d pay more than the minimum balance, but it would feel like it was taking forever to pay it off. You went too far to turn back. Warner:So, how do you turn things around at that point? I understand the feeling of “I got to do something”, but what do you do? Raj:We were not too concerned about getting out of that. We were confident that we could find consulting work and different kinds of work to get out of that. So, we went into the consulting business and it was still both throughout ’96 to ’98 it was me and Lakshmi. So, while we call it a business it was really like the two of us working on it. And, we had an office. So, we were not working on a phone, so we actually took up an office in a business center. So, we started doing consulting. In consulting we can get some cash flow very quickly, and we started getting some cash flow and we were working on that. But, as we were doing consulting we had to fill out time sheets. Some had time sheets, some had invoice to our customers, and it was painful. That’s where we got the idea, “Maybe if it is painful for us it is painful for a whole bunch of people, and forget high risk projects. We can make this into a small product and launch it”. And, Lakshmi said, “Being featured on Netscape is generating a lot of leads”. So, I said, “Maybe we should use the Internet as a marketing platform to get our application out there”. We really wanted to make some quick money to down off our debts. So, we saw one of the technical problems and we made it try-and-buy, made it simple. It didn’t require a lot of selling. It made it easy so that the customers can buy. The first couple of products was the technology product where it needed to be sold, and it was a business product, a much bigger one, so selling was just buying. So, we went into a more of a “How do you facilitate customers to buy?” instead of “How do you make a technology that needs selling?”. Andrew:I see. So, the previous product, the help desk product that you guys got a lot of leads from Netscape for because they were promoting it, the sales process was Netscape promotes, you get leads, you then have to follow up with those leads and close those sales yourselves. I see. Andrew:Then you said “That’s not the model we’re going to go with. We’re going to create a product.” I think Shareware is the model you went with, “give it away for free with an up sell”, or, maybe, “freemium” is what they’re calling it now. Raj:So, that created revenue fairly quickly. Within three weeks of launching our product in ’98, we had our first customer from Seattle who paid us $3,000. Andrew:3,000 for what? My understanding was the first product cost $29 per license. No? Raj:Right. So, the company had about 100 employees or something like that, so that’s about $3,000. Andrew:I see. Wow. How was that day? How did that day feel? First day, $3,000, you didn’t even have to pick up a phone to close it. Raj:We actually had the check posted on our wall for a really long time, the canceled check. We collected the money, or the photocopy. Raj:We started seeing growth happen, we were still consulting, and during day and night we would work on the product and put it on the website and people were downloading it. They were trying it out and if they liked it they’d buy it. Andrew:Lakshmi, let me ask you this. One of the things that I found with consulting companies is that they’re so busy doing work for other people that they don’t have time to do their own work, and there’s no pressure to do their own work, but there’s a ton of pressure to do work for consultant clients who are paying and waiting for things to get done yesterday. How were you able to deal with that challenge that takes down a lot of other consulting companies? Lakshmi:Yeah. We always felt that we wanted to be a product company. We felt that consulting is something that we are doing just to pay down our debt. So when we’re doing our consulting project we always looking for how we build a product that’s, how do we take the mistakes that we have done and learn from it. And how do we build a product that we can actually sell. And how do we learn the sales and marketing side, distribution side of the product. So we actually built a product. We would do consulting in the morning and work with our clients, do the day job, use consulting as a day job. And moonlight and work on a product. So as we’re working on the consulting side, we were looking at other products to build other products. As Raj mentioned, it was so painful to do the time tracking, and yet it’s important to do to get paid. And we were looking at other companies and how they do it. And they were just using Excel spreadsheets and not really a good way to do it. And they will just faxing it on, at that time faxing was big. Where filling our time sheet, fax it and there will be whole bunch of administrators would be entering data entry. So then we build the product at night. And as Raj mentioned, we were in this office building, and we used to leave work at 3:00 a.m. in the morning, and then come back at 8:00 a.m.
And there’s the security guard, and he used to see us, like leave late and come in early in the morning with the night shift. So he used to say what kind of company is it, and can I invest. Andrew:So you were just blocking out times of the day, and saying, ‘No. this is only for our product, and that is only for the consulting’. That’s one thing that you did. And the other thing was this feeling that if you could solve the time tracking problem for yourselves, then the product would be enough? Like even if no one else wanted it, if you wanted it, it would help your business? I don’t want to be like a bad lawyer who leads the witness and gets you guys to say something that is not true. But it would be interesting to understand if you build this just for yourself with the idea, that if any other sales will be gravy or if you said, ‘No, we absolutely need other sales’, this wouldn’t be that useful for us alone. Raj:It was actually more like we were building it for the market. And we said, like we were customers as well, right? So we had good understanding of it, but when we built it, it was always for outside consumption, with us as being one of the customers. And it’s not just built for us but it was built for the market. Andrew:Raj, with shareware and with freemium, you’re giving something for free. So it’s easier to get somebody to try it. But they still need to discover you. They still need to have confidence in you. There still needs to have some kind of marketing. How did you get the first few people to discover you? Raj:That’s where we realized internet is a great platform. So we said, try it and buy it. And we put ourselves on Netscape site and Yahoo site. At that time there is no pay per click. So it’s just bunch of lists. We started promoting in videos websites, the download.com, all of those. Andrew:When you say you started promoting at download.com and other sites. You just mean you uploaded your software there, and you added a nice description. That’s pretty much what it means. There was no AdSense there. Raj:Right, right. We let people discover us. Just like how they were discovering other software. And we let our product speak for itself. We learned that we need to reduce perceived and real risk to our customers. We also found out that selling through PowerPoint or trying other tricks to convince customers to buy, would not work. I was wondering about that? What do you mean? How are you selling by Power Point? Raj:This was our first product.we commit. If you noticing any traditional purchasing process, in enterprise sales. Sales person would come to pursue, bringing the sales engineer. There’s a dog and pony show that happens, with the PowerPoint there, but they say this and that, draw different diagrams. Brought the visions of what you can achieve. Andrew:So uploading to, taking a simpler product and upload it to sites like download.com, is a much better promotion tactic. How do you go beyond that? I know download.com, maybe this will go to Lakshmi. I know download.com had a big audience back then, still does and there are other sites that do, but it’s still not enough to build a huge company. Where’s the next group of customers come from? Lakshmi:Then we looked at all of our customers. Our customers were using a lot of Microsoft technology. Like the SQL Server, you know those kind of things. So we ran with promoting with the SQL server. With SQL server, that’s the reason we could promote ourselves with those kind of newsletters and things like that. So we ran with other things where our customers were using. To go partner with them and to promote ourselves. We just did a, not a big partnership, which will take more time and energy selling to themselves that sort of things. But just a marketing partnership with them and that’s something that we will use and that our customers are using. And we’re always looking for what else can be the rage. And at one point we got 2000 leads into our server and we couldn’t handle the amount of free trials that people were taking. So that’s the time we said, we don’t understand sales, we need to get a sales person. And all she was doing for six months when she started was, just closing sales, just handling the forms and just closing those free trials. Andrew:All right. Let’s pause it here for a moment, so I can dig in to what you just said. Make sure I fully understand it. You started partnering up with companies like Microsoft. Were you built on Microsoft technology? Raj:We were built on Microsoft technology. Andrew:So Microsoft wants to promote the people who are using their technology, to other people who are using their technology. They try to cross pollinate. And that got you 2000 leads. So you still making phone calls to close those leads? Lakshmi:So we made the product very hassle free for the customer. But when somebody is buying for 100 users, or 200 users, they want to make sure that, not only that product looks good for them, they want to get buy in from other, you know their boss, or somebody from finance to ensure that this is going to work for them. So for those sort of situations, we actually needed to sell to other buyers within the company. So we had to get on the phone call, and not for a Power Point presentation, but actually take them with their data, saying that this is how it’s going to work for you. And there is absolutely no risk for you in using this product. And it’s going to provide right away, immediately as soon as you launch. And that’s the phone call was selling to the buyers in the company. Andrew:The software was downloadable and installable, not SaaS but downloadable software. So Raj, why isn’t it enough for them to try the shareware, the free version of it and say, ‘This does what we think it does’, or ‘It doesn’t do what we think it should do’ and we’ll make a decision based on that. Why do they still want to talk to a person? Raj:That’s still 80% – 90% of the work force, back, it was a 30 day trial, that they can play around and look at it. And they did 80% of the buying. When larger deals happened, especially, I remember Philip Morris came around and had requirements for 2000 users. And they wanted to check the company out and understand whether we’re for real. I remember the first call that came from Philip Morris, was, ‘Hey, we’re Philip Morris’, so and so, ‘We looked at your product, we did a trial, it seems to work, we want to buy for 2000 users’, ‘Who are you guys, can you tell us a little about you?’. So it’s mostly like filling that emotional gap that’s needed. And even today we have fairly big sales team and our sales process have evolved quite a bit. So we still call lots of our customers but, the original philosophy of helping the customer buy versus us selling still applies. Andrew:The research I have says, 90% of the revenue comes from tele-sales. So 90% of the sale comes from phone calls like that. So I understand today, someone calls up, and says you guys are a real company, you say, ‘Are you kidding me’. Look at all these been written about us, and look at how long we’ve been in business. But back then, is two people potentially like a night watchmen in the company, you wanted to invest, probably didn’t get a chance to invest, but that was your organization. How did you make a company feel you can trust us, even though we’re smaller organization? Raj:So, website link. We try to make a professional website. Our current website is going through a big revamp. Raj:He came up with four different colors, and we didn’t know which one to choose. There were red, yellow, orange, green colors, same concept. We ended up creating a website with all of those four colors. The product page was a different color. Customer support was a different color, mainly because we did not know which color to pick for our logo. Andrew:Each of the pages had a different color logo, essentially the same logo, different color, OK? Raj:That’s correct. But accidentally that gave an impression to our customers that oh, the product section is green and the customer support section is this size, and it felt big. Andrew:Did you do anything else, maybe on the phone calls to let them know that the company was bigger? I’ve heard a lot of other entrepreneurs say, “I never called myself the CEO. I said I was in sales or you’re not in… Tell me about that. Raj:For a long time we did not carry a title on our business cards even though we didn’t meet anyone, but you’re in a business center so the receptionist will pick up the phone and it will come to us, and we’ll say, “Hello, this is [??] Khan.” And they’ll ask even, can the software be more effective to do this? And we said yes, we can check with the engineering team and get back to you. And I’ll hang up and turn around and talk to Lakshmi. The same thing will happen with Lakshmi. He’ll turn around and talk to me, and we were in a small office. There was a large company at that time, I forget, it was not Philip Morris, somebody else, was quite interested. They wanted to buy it for 1,000 users. And then, they started telling us that there was a credit check on us, and Dun & Bradstreet called us because we were not on their list. So they wanted to know the size of the company and stuff like that, and we were really truthful. We said we were two people, and we had this and this and this, and that came to bite us. That company said, “Oh, we did a credit check on you guys, and I guess you’re rather small.” So, we went back and fixed that. Andrew:You made another phone call to them and adjusted what you told them. Andrew:You know what I found actually? I was always surprised when I got my first phone call from Dun & Bradstreet. They asked you how big the company is, and then they just report it. It’s the same information that the company could get from you, they’re getting from Dun & Bradstreet, and just like you can blow up the number of people in the company by saying, “Well I’ve got my three kids who suddenly come here on the weekends and help me with paperwork, so it’s five people and then also the night watchman who kind of helps out by watching us. So, it’s six people.” If you could inflate the numbers for Dun & Bradstreet like you could for someone on the phone, I didn’t know it the first time they called me and I was shocked by that. Raj:Right. Right. We had exactly the same problem, and we always said that we were ten employees. We didn’t say we were 1,000 employees. We didn’t have to do that for many times, like I remember our first big deal was with HP, and they wanted to know how big we were. It’s just the two of us, and they were OK with that. By the end of ’98 we were generating enough cash flow. We were doing about $20-25,000 a month, and there was still the two of us. Andrew:What size revenue was coming from consulting? What were you giving up in exchange for the $20-25,000? Lakshmi:There was more revenue from our product than consulting at that point. Raj:We had paid down the debt, and we had paid down all the things that needed it, and we decided to stop consulting and focus completely on this. One of my consulting clients, he wanted to know why, and I just said this is going well. We used to have a map where every time we had a customer we put a pin, and the pins started growing. He wanted to know what we were doing, and we said this. So he wanted to invest, and he was our first angel investment. Andrew:Let’s hold off on the investment. I teased it in the intro, and I want to dig into it, but first let me understand how you got to where you are. And then, we’ll go to that stage and what happened afterwards. Lakshmi, Raj said that he would turn to you, meaning “the developers” and say, “Can we add this custom piece to the business?” I understand that that helped grow the business, but before we talk even about that can you tell me what the product looked like at this point? What were people paying $29 for, and then we’ll find out what you guys were willing to add to it. Lakshmi:It was very simple. We were focused on just eliminating the pain points, like make the time sheet screen very simple and easy. They’d be able to select the projects very quickly, enter a time and get out. We were focused on how do we get them in and get them out of the time sheet screen as fast as we can, and we settled on a very simple process. So, once I fill in my time, I can click on a button which will go to your manager for approval. And then, the manager can approve or disapprove it, and then he’d be able to generate some rubles and send it to financing or send it to a client. That’s all of it. Andrew:Basically it’s just a small step beyond Excel spreadsheets with clever macros. A lot of it could be done with Excel spreadsheets with macros, but first of all it introduces the functionality of macros that most people don’t have, and some of them can like the approval or not. You’re both nodding as I say this. Andrew:I was worried you guys would take that personally or be insulted that I said it’s a step beyond spreadsheets. That’s why I talk so much, but it’s not. Why do you feel OK with that as a first product? Lakshmi:With our first product we each ran very in depth. We wanted to solve all the problems that the customer would have. We felt that that’s the engineering hat that we had. We had to solve everything perfectly for a customer, and yes we needed to do that. With our time sheet product we took a different approach. We felt that most of the time the painful piece was they entered things in the Excel spreadsheet. They would fax it over and then the data entry was happening, and there were a lot of editors. Managers didn’t know what was going on. At the time it was going we didn’t have this ability, so we thought, OK, let’s solve that problem for them, just the basic. OK, what are they doing today, and how can I help them get to the next step? And the in depth features and big reporting engines and approval engines and having this departmental hierarchy of people and managing permissions, in depth permissions, those sort of things can come later on. Andrew:You were both nodding so vigorously because the idea of simplicity in the first product, in the first version was a key decision that you made. No more trying to do everything. You were going to do just the key things for people and then we can build. Customization requests were coming in. How did you handle those? Lakshmi:Yeah, customizations, we looked at. Is it going to address the… Is it painful for them first, painful for them in the sense it’s painful for the market as a whole. For example, a customer may need an extra column, and if it’s not really addressing any crucial need for that particular market, then we would not take that on. But if it is something that would move the product forward and it was painful for the market, then we would say yes, and we would solve the problem for them. Raj:I think we came to that learning through trial and error. Before we used to make that decision based on the size of the check. And later on in 1999 and 2000 there were a couple of big checks that came in from some large companies with a long list of customizations, and we took that and we implemented it, and it was a disaster in the sense that we were going back to the consulting business model where we were customizing the product for one customer. And so, we had to get out of that market. We went back to our core of small and mid size businesses, but that was the learning that happened by trial and error, and we realized that the short-term check that some large companies were giving us was actually disrupting our business model and taking us into the wrong direction. So, we had to fire a couple of big customers, and a couple of big customers fired us because we were reporting them in their way. And we needed to be more product focused rather than product plus consulting focus. Andrew:All right. I think it’s around 2000. You’re starting to get offers from companies to buy your whole business. Why didn’t you decide to sell? Raj:We were trying to go. We were trying to raise money, and this was still 1999-2000 and things were very hard. The market was hard and while this business was working a simple solution to a simple problem, we always felt that we needed to build a bigger solution in our space. There was money. Companies were raising hundreds of millions of dollars in our space, and we felt threatened, and we were trying to raise $2-3 million. And we were talking to a lot of VCs and they would say that, ‘OK. Those guys are raising $100 million, and we’re trying to raise $2 million, how are you going to compete?’. Right? And so we felt like this is a good place, and we probably should be thinking about selling, rather than building a bigger business. So yes, of course we thought about it and we actually ended up raising about $2.5 million from angel investors. Andrew:$2.5 million from angel investors, that’s what you got raised. Raj:Yeah, apart from my original first angel investor, who put in about $350,000. We raised another $2.5 million in 2000. With mostly angels, but half million came from institution investors. Andrew:You guys were profitable at the time right? Andrew:About a million dollars in revenue. Raj:We had 30 employees. We were growing. We never managed any people and there was people issues. It was getting hot in the kitchen so we want to run away from it. So we said OK, let’s just sell the business. So we did think about that. And we did go through that process. But all that changed when 9/11 happened. The technology bubble burst, things start going down. And all the people that we thought would be a potential buyer, actually started disappearing, and going down. But our business was growing and we had started to fix some of the internal problems that we caused. Because of not getting our model correct. We started to fix those things. Andrew:With the money that you have raised, you started to fix it? Help me understand what’s the problem is with raising money? It seems like you raised $2.5 million from smart investors, who are willing to take a risk on you, venture capitalists and angels. What’s the problem, why isn’t that a good thing? Raj:It felt good, it felt right. We went through the thing about, ‘Wow, we got funded, and so somebody validated us’. Right? Andrew:That’s a good way to put it. Right. That’s what it feels like. Raj:It feels like I need validation. Everybody is saying that you are screwing up and this is wrong. We deal with problems all the time, and you looking for validation. Maybe I’m not what I’m billed to be, so you are always hearing negative things. So it felt like a good validation, like raising money. But our goal was to make our balance sheet strong and solid. And for a while everything was good. Our goals were alike. Right? We’re going to sell the business, make the balance sheet strong. And go at it, right? But then the market changed. Right? The business changed. And we started to gain confidence. We were forced to solve the problems of staying in business. Right? As we were solving, we had to focus on customer service, focus on building the product right, like recently with our bugs. Bringing revenue faster and all of those things. But then the market crashed, the goals changed. Right? We still want to apply for particular investors. But everybody realized that it’s not going to be 10X or the big pay out. Lot of the investors were losing money in other deals they put in. So the goals changed. Right? We said, ‘Hey, we can sell, but you’ll probably get your money back, that’s all you’re going to do’. Or we can build this from the business. That’s really it. And by focusing on all these fundamentals. So all sorts of difference in opinion, and difference in what you should do. But I actually used the funds, the funds were sitting in the balance sheet. And that led to a lot of conflicts. Andrew:What’s the conflict? What’s the investor want? They wanted you to use the money and grow quickly or they wanted you to just give it back? Raj:They want to sell the business. Andrew:They just wanted to sell it? Because they came into this with the idea that they would sell. You came in with the idea that they would sell, but you weren’t happy with a quick sale that wasn’t going to result in much growth for anyone. You wanted to wait it out, and they needed a quicker exit. Lakshmi:And also, market conditions changed. Lakshmi:After 9/11 nobody was buying. After the bubble burst in 2000, people were becoming more conservative. And so, a lot of things were happening. The outside market conditions changed. Andrew:Lakshmi, what happened when you just told the… Did you try telling the investors “Wait it out with us?” What happened in the conversations you had with your investors? Lakshmi:We had a business plan. We said, “Hey, these are the conditions that are changing, but yet customers, they are taking longer to buy our product but they are buying, and we are still a profitable business. We were cash flow positive, but somebody coming in and acquiring the company and having an exit is not going to happen quickly. And that’s something we had those discussions on. That led to a conflict at the board level, and the board was pretty split. We felt that the board would always support the entrepreneurs, and we read the brochures on what the board is supposed to do. It didn’t come out to be that. I’m giving you the PG-13 version of it. Andrew:Oh, I want the R rated version. Go for it. Andrew:You had 60+% ownership and you still can’t make these decisions because the board can overrule you. Raj:The board can overrule us. Lakshmi:I think that’s something entrepreneurs don’t realize. Even with a small percentage in the company, the investors could control a lot. Andrew:Why, with what? What gave them the ability to control so much? Lakshmi:The contract that you sign with them and the board composition gives them extreme control over your company. The investment percentage and the control over the company are not related. It’s not equal, and that’s something that we learned. Raj:We learned and in our case we were lucky in a sense that nothing prevented us from changing the board. We brought these people onto the board thinking that they would add value. The only person who had a right to sit on the board was the venture capital person who had 5% of the company. The rest of it was something that we lacked as shareholders. Andrew:So, you could elect to replace them, too. Andrew:And you also ended up giving the money back I said in the intro. Andrew:What did you do? Tell me about that. Raj:As Lakshmi was saying, once we changed the board, there was a lot of unhappy investors, not because they were unhappy with the business but there were unhappy that we took control back. Raj:So, the business was great. They just did not like what we did. We didn’t care that they didn’t like us investing in the business. By that time there was so much emotions we went through. So we did a big presentation to the whole investors. I think we had 35 or 40 investors, and we said, “This is where we are going and we’re going to build a strong business. You will have an exit at some point. It’s not going to happen in the next 12 or 18 months, it’s going to take longer. If you guys are in, you’re in for a good ride If you want an out we will come out with a process that tells you ‘this is what the share price is’ and we’ll buy your shares back”. The company had cash. We were adding cash to the balance sheet. Not just the 2.5 million we raised. We were adding cash constantly. Andrew:OK. So, you offered to buy them out. Most of them said yes. Right? Raj:Yeah. A lot of them did. We were surprised. Andrew:And, the people who said no, who wanted to stay, what happened with them? Raj:My angel investor stayed. A couple of other investors who made non-emotional decisions stayed. But, everyone else was making emotional decisions. They decided to quit. But then they made money. Andrew:I read a quote from you where you said “They made anywhere from 15 to 30% on their money, and we did that buy back in 2004”. Lakshmi:Yeah. Three investors who stayed, including our angel investor, they made four to five times their investment. Andrew:Now, they haven’t realized those gains, right, because you haven’t sold and they haven’t cashed out. Or, am I wrong? Raj:By that time the percentage was so small of outside investors we said, “We will buy the shares back”. And, we have been buying it and we made an offer. Any time you want to sell we will work a value up and we will renegotiate and figure it out. My original angel investor still is there and he’s very happy and once in a while he’ll sell some shares. We were not doing dividends because it didn’t make sense, but he has made already 10X the amount that he put in and he’s still a share holder. Andrew:Has he cashed out 10 times what he put in and he still has shares? Is that what you’re saying? He has. You’re not… Wow. Andrew:So, let’s find out how you got it, how you grew value. We talked about the investor stuff. I want to go back to the business decisions that you’ve made. Specifically, since I love talking about sales, how did you grow sales beyond what we talked about? You told me about the customers that came from partnerships like the one you had with Microsoft. You told me how you added features the customers were looking for, so I understand how the product improved and lured more people in, but what else do you do to take it from hundreds of thousands of dollars to millions of dollars? Lakshmi:We were heavily focused on Yahoo. Then Yahoo came up with this “AdWords” and Google came up with Adwords, so that gave us a tremendous opportunity to reach out to customers, so we invested heavily on that. Next to Cradle, our biggest investment is Google. Andrew:And, back then, Google and Overture were the two big sources of customers, and to this day Google AdWords or Google Ads in general are your second biggest expense after people. Lakshmi:Right. It’s the second biggest expense, and online marketing is our primary source of leads. We focus heavily on that and have a great product and a great sales force. Andrew:You built a system that allows you to track the performance of keywords that you guys buy in Google yourself, Lakshmi. You’re still coding, you’re still developing in the business. Lakshmi:No, I don’t code. I think we had an IS person who would code and do the docs and get the reports out. Raj:Yeah. We stopped coding in 2000. Raj:I still do Excel macros [laughing]. But, we understand technology and we now have senior people. We brought in a VP of sales, VP of marketing, VP of engineering, CFO, so we probably are more professionally run than a lot of the VC backed companies. Andrew:15 years ago you guys started out without any business background; you said that’s where you were lacking. Where did you learn business beyond the day to day work that you did? Did you go back to school? Did you start studying up on it? Did you bring in advisors? Everything I’m saying you’re shaking your head to. Andrew:Advisors. That’s what did it. Lakshmi:And, school of hard knocks, I guess. Raj:Yeah. School of hard knocks and advisors. I think we were lucky to find, as we were fighting through the challenges, my CFO became a good advisor. He was a board member and an ambassador, now he’s the CFO. Our chairman was… He was with the Silicon Valley Bank. In 1970 he was a director. Then, he moved to Calgary and he became an advisor. We were seeking all help. Andrew:How do you get somebody to help you out? Raj:It’s actually amazing. All you have to do is just ask. Andrew:Tell me how you ask. If I’m sitting here, forget me. If my listener is listening right now and says, “I want an advisor” and you’re telling them, “I just ask”, so they’re going to go and just ask. They’re going to wonder how do they go and ask. Do they just send an e-mail to a stranger? Do they contact someone and ask them to introduce them to an advisor? How do you go about getting the right advisor, someone who’s as powerful as the ones that you guys have? Raj:I think we just network talk. Raj:So, a good example is right now we’re seeking an advisor here in the valley who can help us think through SaaS stuff. I actually found him on LinkedIn and sent him an e-mail, and he responded. Andrew:A complete stranger, you just met him on LinkedIn. Andrew:And you asked him for help. Raj:Yeah. It doesn’t work every time, but it’s amazing. Andrew:Raj, what’s in it for him? Why would he help you guys out? Raj:I think a lot of it is psychological. Lakshmi:Yeah, sharing with your audience. I think a lot of people are willing to share, and sometimes approaching them directly works. Sometimes, I think for our chairman who’s this really senior person, who was one of the early founders of Silicon Valley Bank, moved to Calgary, and then he was a very prominent personality in Calgary. It took us five, six years to quote [sounds like] him. Yeah, it was like a big process. You never know where you’re going to end up and what relationship is going to work for you. You just have to network and find the right person. Sometimes, you have to use the school of hard knocks. You just learn by actually losing revenue. I think that’s the best form of learning. Hopefully, that doesn’t happen. Andrew:Give me an example of a time when you lost revenue and learned a lot. Raj:We’re going through that now. It happens all the time. Raj:For example, the good example was the large businesses that we were selling to that gave us a lot of revenue. On one hand, we were getting the revenue from them, but then on the other hand we were not progressing as a company. Andrew:This is when you’re practically a consultant again because you were adding so much customization. Lakshmi:So as [??] person a good software executor, we easily looked at that early on and said, “Hey, don’t take those customers. They’re going to be bad for you.” So, you see sometimes you learn from their advice, and also it’s hard to learn from other people’s advice sometimes in some cases. They give you advice and you cannot place it in context. For example, early on when we seeked out a lot of people and say, “Hey, we’re so excited about our company and here’s what we’re going to do. We are going to change the world in terms of building a very hassle free solution, and we’re going to give it for free, those sort of things. A lot of people didn’t believe in it, and some people believed in it. You just have to tell your story, and it will attract a few people. It will not attract some, and you get some advice that’s good for you and some advice that’s not so good. And also, we didn’t know how to place it in context because we didn’t have the skills in marketing background. When people would say, “Hey, you’ve got to watch out for this, your conversion rate should be like this”, we didn’t quite get it. So, you have to work through those things unless your level of knowledge and experience is there. It’s harder to just take a two minute advice and really implement it. Raj:And, now I believe that the only way to learn is through the school of hard knocks. Right? There’s no school that tells you how to build a $100 million business. They’ll tell you, but that was in a context and the context is constantly changing. I remember that we got this advice four years ago. We switched our business model from selling a license to go towards a SaaS model, and they’ll say “you got to watch your churn”. All right? With the license model you’re selling the license up front, you’re getting the money paid and you’re getting a small maintenance fee because using the software or not does not effect you as much. Right? But, with SaaS it’s different. You’re becoming a customer for life and you’re sharing the risk with them, but since you aren’t getting paid up front and if they don’t use the software you aren’t going to get paid. Andrew:So, SaaS was another big milestone because you went from, as you said, one charge to multiple charges and having to make sure that your customers are happy with you month to month to month. How do you do that? How do you prevent churn? What do you do to make sure customers stay with you from month to month? Raj:You’ve got to be on your toes. The whole thinking changes. To use an analogy, you’re no longer selling telephone equipment you are running a telephone service. Right? It’s a service business, so, the switch from selling software to going to a SaaS is tremendous and it’s huge. We made the switch in 2009. In the middle of 2009 we decided to cut off our license business. We still have a lot of customers today who are still buying additional licenses, but we don’t sell to new customers. Andrew:How did it influence your revenue overall to go from license to SaaS? Raj:It changed. We had a couple of years of flat revenue because we were not getting money up front. Luckily, we had a very strong balance sheet. We never took any dividend out other than buying some shares back from our existing investors. Andrew:I’m sorry; Raj. You said earlier that you have to be on your toes with SaaS to keep your customer happy and subscribing month to month. I’m especially curious about this. I could almost do a whole series of interviews on how membership sites and SaaS products maintain their customers. How do you guys do it? What’s one thing that you learned that helps get customers to stay? Specifically, what’s one thing? Raj:One thing that we watch for and notice is how many of those customers are using it every week. Our traffic is highest on Mondays and Fridays. We have a dashboard that says how the traffic has been, what’s happening, and we have the ability to go down to a customer level. We don’t know within a customer, but you’ll see a customer usage rate going down. And, once we find this, a lot of times they just need help. The person who was running the software, who was using it, changed. Like, there’s a new administrator came on board or a new manager has come on board and they’re not seeing the value or they haven’t figured out how to use the system. They’re not getting their staff to make sure that they’re using it correctly. So, it’s very simple things. Andrew:So, you know if a customer is not using the software, that’s an alert to you that makes you do what? That’s an alert that says, “This customer is more likely than others to stop paying and stop being a customer of ours. We need to do something.”. What’s that something that you do to correct it? Lakshmi:In a non-premise model it was more reactive. If something was not working customers would reach out to us. Now our customer service is more proactive. We would look for, “This customer is not implemented right” or “This customer needs help and more training”. Andrew:Would you contact them if you saw that a customer… you’re both nodding. If you see a customer is not using your software for a certain period of time you contact them because you know that, at some point, “They’re going to drop out unless we bring them back in”. What about this? Sometimes in large companies, I know Kraft has 30,000 user licenses, do I understand this right? Andrew:I mean, huge company, lots of licenses. Sometimes in these big companies, they stop using software. They keep paying the bills and they move on to another software, but they keep paying your bills just because that’s what they are set to do, month-to-month. By calling them and alerting them, you’re also telling them. ‘Hey, you guys might have moved to something else but you’re still paying us’. And alerting them to cancel, no? Raj:Sure, those are things that can happen. That’s a risk right? But we rather have Kraft. Kraft is an ongoing customer, so you don’t know if they are using it or not. So we don’t have this ability to interact. Raj:But they are one of those early customers that pushed us into a lot of customizations. But that’s the risk. We rather have customers who are using it versus customer’s shelf ware, is going to disappear, right? And you can make companies for, a lot of large enterprise companies, that make billions of dollars selling shelf ware, but that’s not a sustainable business model, right? So we rather have the information up front and rather mentally sign off the dollars and still gets some dollars, but that’s not a business that is sustainable. Lakshmi:Also that’s telling on your product. Is there’s something wrong with your product, something wrong with your service? Like what’s wrong, that you can fix. Maybe You might lose the customer but at least now you have the ability to go back and fix what the problem is. Andrew:So you learn why you lost the customer. You might have lost the customer, but at least you learn why so you can fix it. Raj:Yes. It’s a positive learning. Andrew:Well, we are over time here. But I got to ask you about one other thing. In fact, I loved to ask you about more things. I kept taking notes on some of the things you said. But there is one that I’ve got stick in here before we go. Lead cleansing. You do a lot of lead generation and you do something called lead cleansing. What is it, and how do you do it? Lakshmi:OK, lead cleansing, we have some other person going through every lead and the thing is, is this a good lead, is this someone who is a qualified person, who has a need, and would buy our product. And we just go through it every day. Andrew:Every time you get a lead in, you make sure that that lead is a qualified person? Raj:Right, for example, we have been growing quite a bit, so we have a lot of people who have applied for a job. Before a job they want to check our product out, rightly that’s not a lead. Andrew:So you don’t want your sales people to follow up with that person. Andrew:So how do you cleanse, how do you understand that, that person is just looking for a job? Raj:We have a three step process. We have, first we get rid of all of the Hotmail and things that are obvious. We get a lot of BillGates@profits.com, and BillGates@microsoft.com. You know that’s not a real lead. So we get rid of that. Then we have a second team. We are just looking for team people right now, it’s growing. Who actually call, and have a conversation and sometimes they know right away, that this is fake. Thy do a lot of things, they have fine understating of the buying process, whether we can help them. So we have a full rapport with our sales team. Andrew:OK. And why does that help? Wouldn’t you just consider anyone who is not Bill Gates are really, clearly not a good lead, a potential lead and have your sales people call? That’s something I think you, Lakshmi, mentioned early on, ‘Our sales process is evolving’. I think you guys said it a couple of times, and I wrote it down. Lakshmi:So the reason why you don’t do that is the sales people’s efficiency. The productivity rate you’re constantly watching for, are we talking to the right people, are we talking to right people who will use our product, and not churn at the end. And how can we increase our sales efficiency and productivity, because sales people are expensive losses, and you want to put them in front of the right customer. So as many cleanse of your lead, you made your sales people more efficient and they are not going to hand in leads that are not happy to be in front of and show the product. Andrew:I see. All right. I appreciate you doing the interview. As you can see I got more and more notes here that I like to ask you, but at some point I have to end the interview, and hopefully I’ll get to have you both back on to do a second interview. This actually worked out well, you know. Usually with two guests, it’s hard to balance it. There wasn’t talking over each other, I thought it all worked out well. What’s your connection, how do the two of you meet? Raj:And we met in 1991. And we started the business in 1996. So I moved to Calgary in 1989, and she moved in 1991, and that’s when we met. Andrew:Well, congratulations. And congratulations on running this business for so long. Your questions were quite insightful. The interview is not long, one hour but I felt like I have lived my last 10 years again. It was just really good. Andrew:Cool, I appreciate that, thank you. That’s a big complement to me. Andrew:Good to see you and thank you all for watching. Bye-bye.